Some say that the city of Tabriz lies at the gates of the Garden of Eden. Set in the far north west of Iran, in the triangle with Turkey and Azerbaijan, it’s exotic and romantic. So is its food. Buke Dehaty left Iran behind him when the Shah was overthrown. It was actually the luckiest thing that could have happened to him, for he ended up falling in love with a girl from Whitley Bay. Two sons later, he opened a restaurant near the Central Station, right opposite the Life Centre, and brought a little bit of the flavour of Tabriz to Newcastle. That was 14 years ago. He has a loyal following in the city, and rightly so. If you’re tired of Modern European, Chinese or Indian food, and want some Middle Eastern promise, this is the place to come. He more recently opened a branch in Jesmond, in the unlikely surroundings of the Jesmond Hotel on Osbourne Road. I went with two friends to the original restaurant in Marlborough Crescent. It has an underwhelming entrance – more all-day-breakfast café than oriental plush. Don’t give up – the food is worth it. Upstairs is the restaurant proper. It’s very casual and laid back, with nicely canned middle-eastern music and a nod to the kasbah in its décor, but you definitely shouldn’t dress up. On the top floor is a “traditional room”, presumably created to let the smell of shisha pipes mingle with oriental carpets. This would be a good room for a party, but anti-smoking regulations mean it has no function on a daily basis. Shame. The first thing to say about A Taste of Persia is that it’s incredibly inexpensive. It’s really hard to spend more than £30 for two, even with wine. Perfectly good house white is less than £12 a bottle, starters are around £2.50, and main courses, complete with rice and salad, just £7.50. This makes Buke’s place possibly the best value menu in town. One of the best tests of any middle-eastern kitchen is its hummus. Obviously it must be homemade, but it mustn’t be grainy, lumpy or oily. 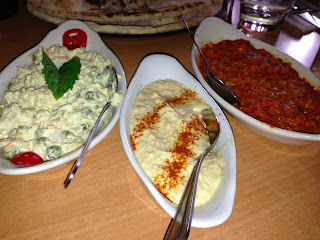 A good hummus should be smooth and creamy with a hint of lemon and a satisfying kick of roast garlic in the aftertaste. This hummus had all of these. It is a perfect hummus, served with giant flatbread, helpfully perforated for sharing. But this isn’t the best starter on the menu. 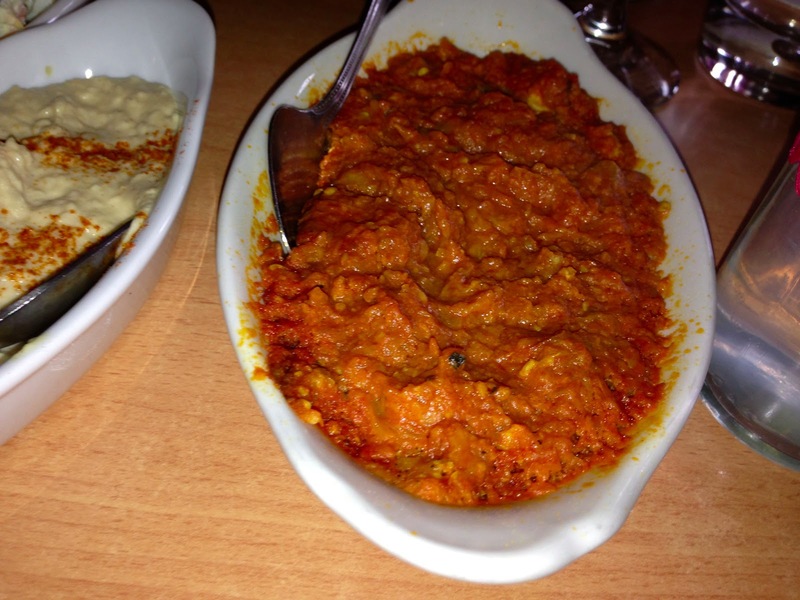 If you visit Buke’s place, which you must, don’t leave without trying the mirza ghazemi. 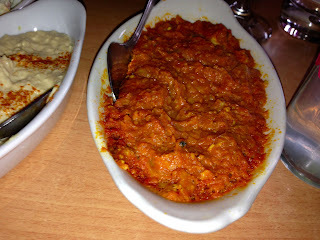 This is smoked aubergine, blended with eggs, onion and tomato. It has the most luxurious taste; it should be bottled and sold in Harrods for £10 a spoonful. Less interesting was chicken olovieh – a kind of sandwich spread of chicken with carrot, gherkin, boiled eggs, tiny peas and potato. The mayonnaise was a little too creamy and it needed a touch more gherkin to give it an edge. We moved on to three contrasting main courses. Tiny marinated lamb chops were sweet, moist and garlicky. We also had fish – they recommended salmon mahi, grilled on a skewer, but we spurned this for panfried seabass. This was interesting: marinated in saffron and lemon juice and then coated in flour mixed with turmeric. It was exactly what I would have expected in a roadside café somewhere in Eastern Turkey. People expecting fluffy moist fast-grilled seabass will be disappointed. We weren’t. 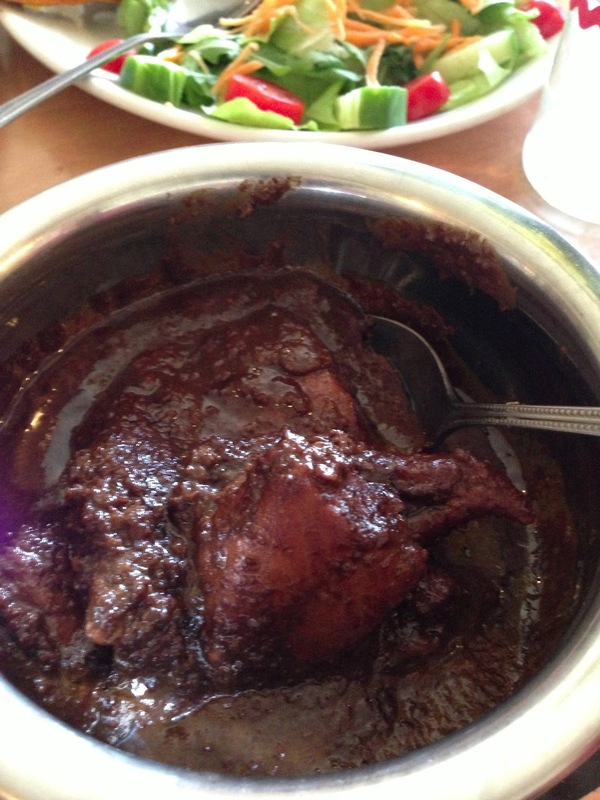 But the star of the meal – even surpassing the aubergine – was fesenjan. This is a Persian classic: chicken cooked ever so slowly in an amazing sweet and bitter sauce of pomegranate and walnut. Rich and dark, it has fantastic depth of flavour. There’s no doubting the authenticity. 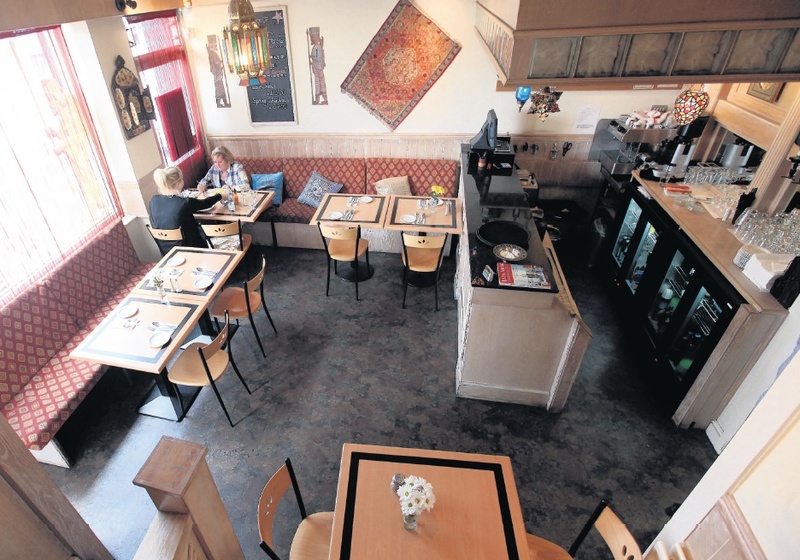 Buke has imported a genuine Azerbaijani-style restaurant straight into Newcastle’s city centre. It doesn’t presume to offer more: everything comes with rice and salad, there’s no pretension, or fusion with anything else. This, of course, limits its scope. There’s a fortune to be made by someone prepared to push out the boundaries of middle-eastern food into the mass market, as Las Iguanas has done with Mexican. But Buke seems content to offer us just a simple taste of his homeland. And very tasty it is too.